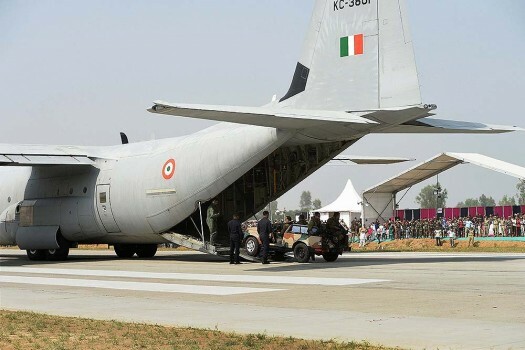 Indian Air Force's C-130J Super Hercules aircraft during a practice ahead of the 12th edition of AERO India 2019 at Yelahanka airbase in Bengaluru. 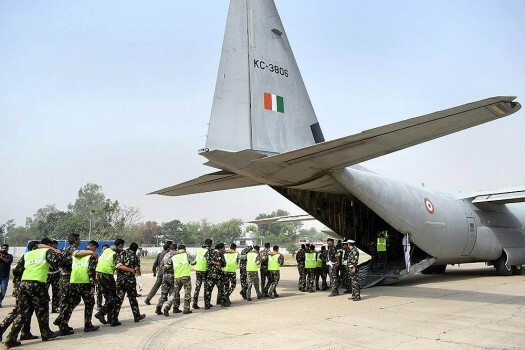 Indian Air Force (IAF) personnel take part in a casualty evacuation exercise from C-130J Super Hercules at Phaphamau airfield which is a WW II vintage airfield in Allahabad. Spectators watch an Indian Air Force transport aircraft, a C-130J Hercules, lands on the Agra-Lucknow highway in Unnao. 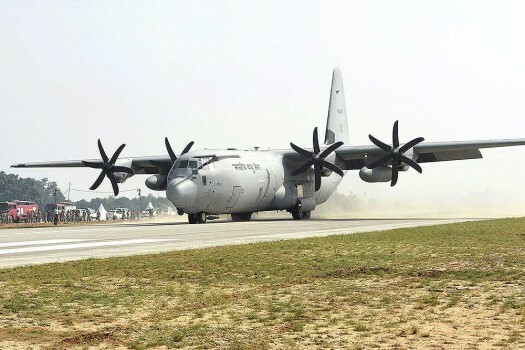 A C-130J Hercules, an Indian Air Force transport aircraft, lands on the Agra-Lucknow highway in Unnao. 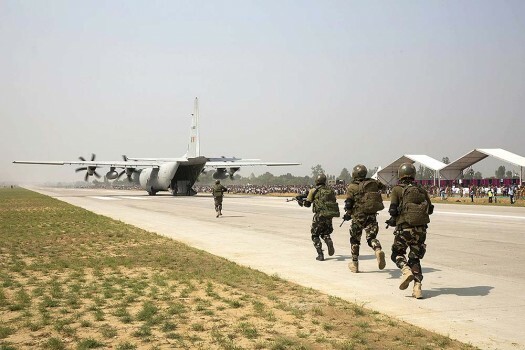 Personnel display skills next to an Indian Air Force Hercules C-130J aircraft that landed on the Lucknow-Agra Expressway, during an IAF drill in Bangarmau, in Unnao district. 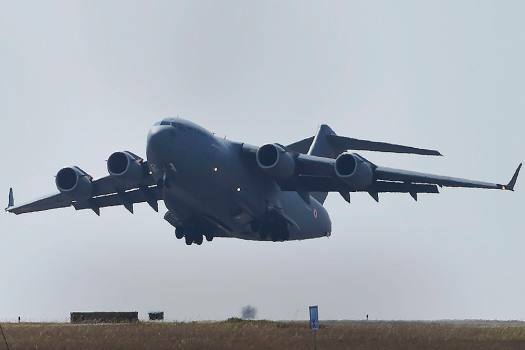 An Indian Air Force transport aircraft, a C-130J Hercules lands on the Lucknow-Agra Expressway during an IAF drill in Bangarmau, in Unnao district.